V8 Supercars has provided teams with draft regulations for the 2016 season, with some changes for the year ahead. Teams were given the document in mid-December to prepare for the coming season, which officially kicks off on March 3 when the Clipsal 500 begins. 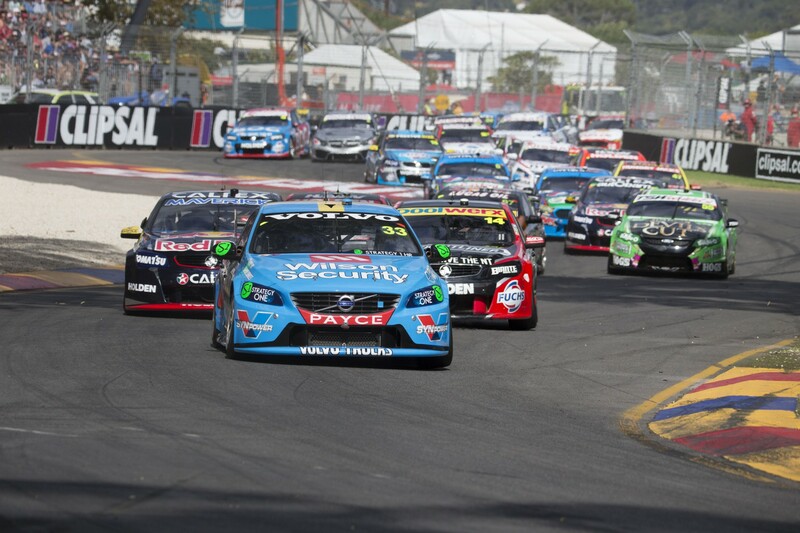 While the rules are pending sign-off from the V8 Supercars Commission early next month, nothing is expected to change given the discussions and considerations before distribution. Testing regulations have been confirmed, with teams again allowed three test days this year. One must be used prior to the Clipsal 500, or it will be surrendered – but without the compulsory two-day season launch this year, teams effectively have one extra independent day to use at their discretion throughout the year. Teams are required to test in groups with their Dunlop Series counterparts, and a new rule allows a team or driver that has not competed for the last three years three additional test days. There are three test days allocated for manufacturers, allowing any changes to manufacturer or body shape – as per Gen2 regulations – to be analysed. The 2016 calendar sees SuperSprint Saturdays revert to one 120km race – the Saturday change means qualifying will change to one 15-minute session, rather than the 2015 back-to-back format. There are some changes in tyre allocation, with five sets of new Dunlop tyres specifically for testing – three sets of softs and two sets of hards. The total allocation of tyres has been increased for 2016, up from 324 to 400 for the season. While it was initially announced Bathurst and Phillip Island would be the only rounds to run the hard tyre, after Craig Lowndes’ failure on softs at Pukekohe, and with a lack of data on the Adelaide street track, allocations have been revised. On Saturday at the Clipsal 500, there will be an all-soft tyre race, with the other 125km run and Sunday’s 250km mini-marathon to run on hards. Co-driver only sessions will again be added at two events, this time at Winton and Queensland Raceway, running on Formula One Australian Grand Prix soft tyres. Four sets of tyres will be allocated to race on at the non-championship event – one set that must be used each race – to ensure rubber is better managed this year. All minimum fuel drops and compulsory pit stops have been outlined in the rules.